This site only acknowledges the country’s real counties, which have never been abolished and describes the flags that they bear. The terms “shire” and “county”, sometimes used in conjunction with such adjectives as “historic”, “ancient”, “traditional” or “geographical”, refer to the 86 areas of ancient origin which for centuries have formed, and continue to form, a commonly agreed way of referring to the different parts of the country; our basic geography and reference, used for many personal, social and cultural purposes and in spheres like business and trade, tourism, sport and the delivery of mail. In England, Rutland, Lincolnshire, Somerset and Yorkshire are examples; in Scotland, Fife, Clackmannanshire and Argyll; in Wales, Glamorgan, Caernarfonshire and Pembrokeshire. People are often unaware of this distinction; media, mapmakers and councils are some of the most unaware! Cumbria is not a county: it is an administrative area. Middlesbrough is still in Yorkshire, so is Redcar, so is Sedbergh; Peterborough is still in Northamptonshire; Didcot and Abingdon are in Berkshire, they never left, even if it was more practical to organise the removal of rubbish from their streets from an office in Oxfordshire. Dorset Council proudly proclaims its financing of the construction of a fine shopping centre in Bournemouth with a bold sign announcing the fact but the town lay in Hampshire at the time and continues to be there still. Sunderland has never ceased to be part of County Durham, Newcastle is in Northumberland. Regrettably, the retention of the word “county” in the titles of many of these administrative bodies, whose remits rarely cover precise county boundaries, has served to confuse the situation even further. Our counties existed for a thousand years before the advent of local government in 1889, they are not and never have been defined by the presence or absence of a council – councils do not, a county, make! where returns are presented for the actual counties at left and administrative units at right. Nowhere in the 1888 act are the actual counties abolished or altered in any way, their status and boundaries remain intact, it simply created an entirely separate set of units for administrative convenience, the actual counties remain wholly untouched. As detailed by Russell Grant in the introduction to his work “The Real Counties Of Great Britain”, administrative counties were created by an Act of Parliament, to differentiate from the real counties, formed in the main by natural geography. Subsequent acts have and will alter administrative counties, several have been abolished but the real counties were not created by any Government and so cannot be eliminated by one. A further analysis of the true status of our counties by ABC Chairman Peter Boyce can be found here. Links to further ABC information from ABC are available at the foot of this page. A list of “tripoints” where three counties meet, is available at the Wikishire site. 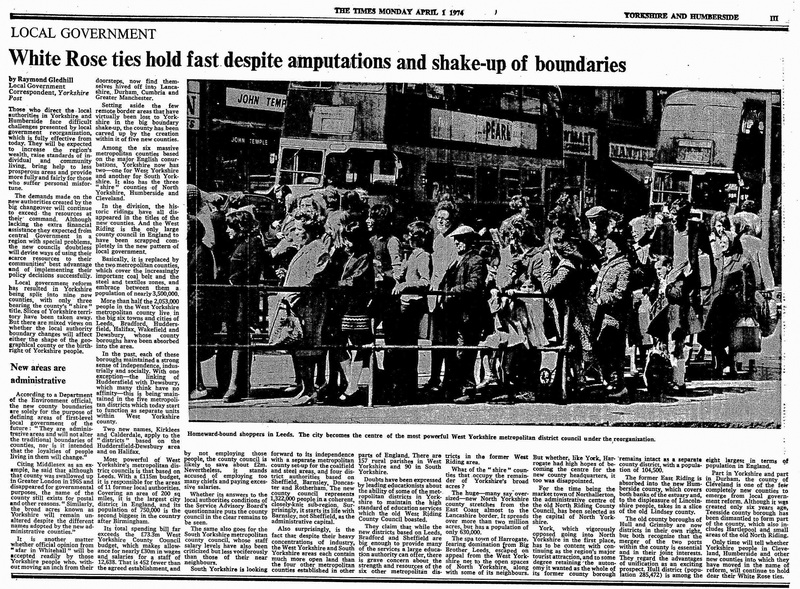 Government quotes through the years regarding the nation’s real counties, confirming their continued existence. “The tapestry of England’s counties binds our nation together. This government has binned the arbitrary Government Office euro-regions, and instead, we are championing England’s traditional local identities which continue to run deep. Administrative restructuring by previous governments has sought to suppress and undermine such local identities. Today, on St George’s Day, we commemorate our patron saint and formally acknowledge the continuing role of our traditional counties in England’s public and cultural life.”. “England’s traditional counties date back over a thousand years of English history but many of the counties have been sidelined by Whitehall and municipal bureaucrats in recent decades, including the municipal restructuring by Edward Heath’s government in 1972. By contrast, this government is championing local communities continuing to cherish and celebrate such traditional ties and community spirit.”. Underlining the government’s commitment to our true counties, in 2016, following a change in planning policy, the Office of National Statistics published its Index of Place Names in Great Britain, specifically highlighting the continued existence of our real counties on its website, “Recent moves to recognise the cultural importance of historic counties led to a change in planning policy in 2014 so that road signs for these areas may now be put up by local authorities.” … “The forthcoming 2016 IPN will offer a variety of changes and new features designed to be useful to a wide range of users. …place names will now also be assigned to historic county….” It further explained, in its user guide to the index that “The historic counties of Great Britain (also known as ancient counties, counties proper, geographical counties or traditional counties) have existed largely unchanged since the Middle Ages. Their original administrative function became the responsibility of separate administrative counties and county councils set up by the Local Government Act 1888 and the Local Government (Scotland) Act 1889. It was these administrative counties and county councils that were abolished in England and Wales in 1974 by the Local Government Act 1972, and in Scotland in 1975 by the Local Government (Scotland) Act 1973, not the historic counties. 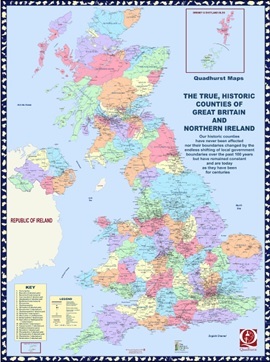 While no longer a statistical geography, the historic counties are now included in the IPN for those users who wish to use them for historic, traditional or cultural purposes. They are recommended as a stable, unchanging geography which covers the whole of Great Britain. More information on Britain’s real counties can be found in the book: “The Real Counties Of Britain” by Russell Grant. An administrative area defined by the Lieutenancies Act 1997 solely “for the purposes of the lieutenancies”. An area in which Lord Lieutenants exercise their functions. In England and Wales these are labelled by the 1997 Act as “counties”, in Scotland as “areas”. In England, Greater Manchester and West Midlands are examples; in Scotland, Tweeddale and Dundee; in Wales, Clwyd and Mid Glamorgan. Ceremonial counties do not correspond with real counties. In England and Wales, as described, one of the administrative areas created by the local Government Act 1972 solely “for the administration of local government” and deemed by the Act “to be known as counties”. There have been many changes to the names and areas of these since the 1972 Act. In England, Stockton-on Tees, Blackburn-with-Darwen and Rutland are current examples and in Wales, Swansea and Gwynedd. In Scotland principal local government areas are not called counties, “Dumfries and Galloway” is an example. The “County Wise” pages provided by the Association of British Counties include an expanded explanation detailing how our counties have never been abolished, a more detailed definition of the types of county and some answers to frequently asked questions .